With a chance to seize a 3-1 edge, the Spurs’ defense and focus failed them against a locked-in Nuggets team. The starters are doing their job, now it’s time for the bench to do theirs. The Spurs led early, but the Nuggets took over late as the Spurs couldn’t stop them from scoring. If Denver makes it their mission to stop White from going off again, DeRozan and Aldridge could feast. A collection of classic cars have been paired with works of art. The Spurs will look to push Denver to the brink tonight in Game 4 from San Antonio. It’s too soon to crown White as the next Manu, but there are some similarities between the two. Rounding up some Derrick White articles after his breakout in Game 3. The ascension of San Antonio’s point guard shifts the foundation Spurs vs. Nuggets was assumed to rest on. Can’t win if you go on a team-wide cold streak. Too hilarious. Wish I’d noticed it in the moment. So this is a charge now. Ok. 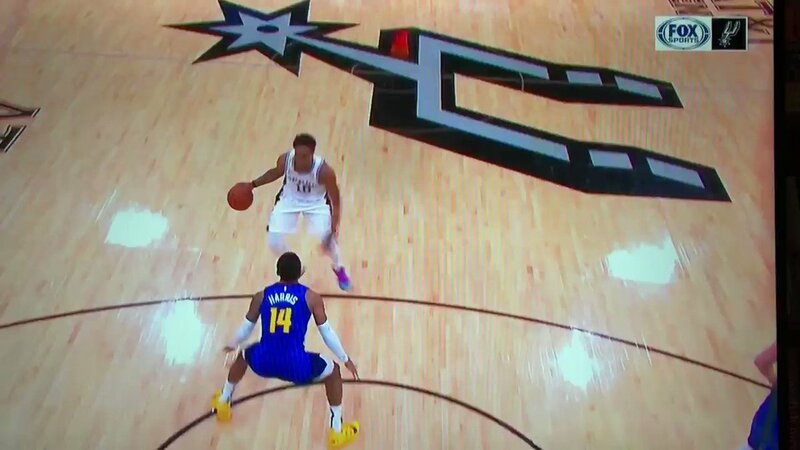 I didn’t hear that the league had changed the rules, but apparently you can just slide into the path of a player driving and it’s a foul on them. Still a lot of time. Spurs have to make a run. Toward the end of the second quarter, he started talking about the Nuggets as though they were some upstarts. Praising them for just getting back into the game. These national announcers really love the Nuggets.